The snow has finally melted. Hooray! 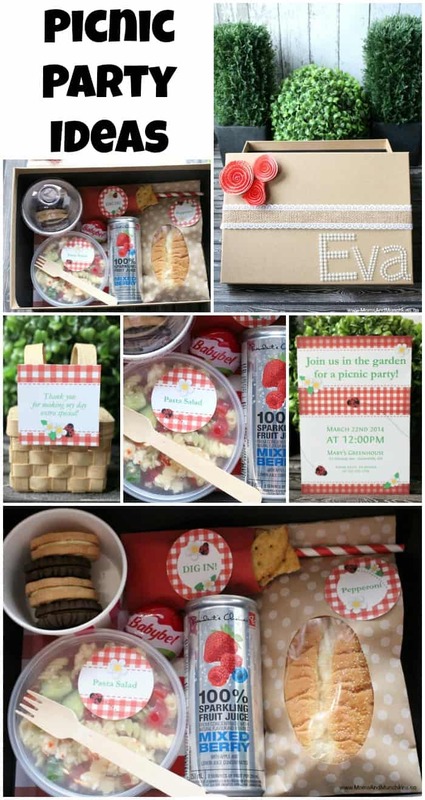 It may not be warm enough yet to sit in the park for a picnic but it’s never to early to start planning a picnic party! 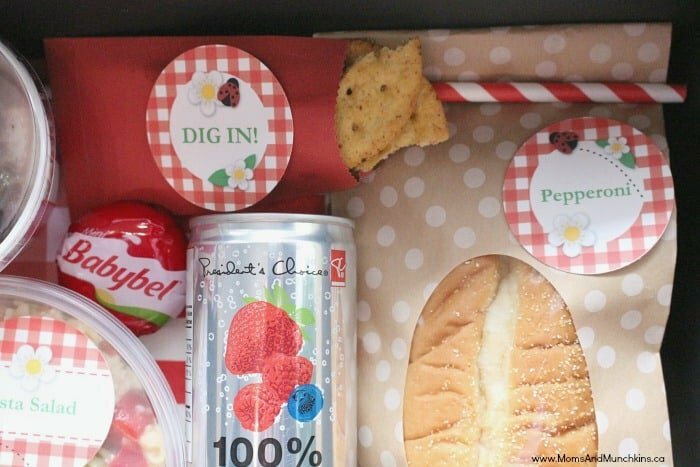 These picnic party ideas would be perfect for a summer birthday party for children. 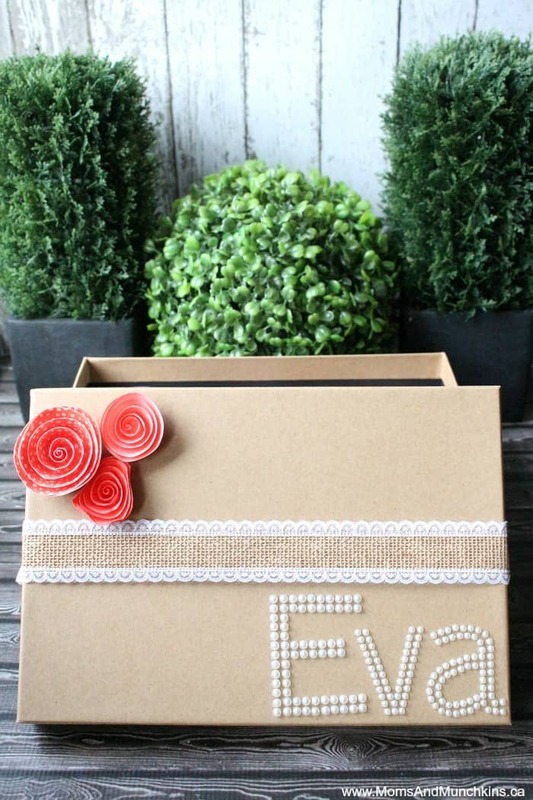 With a few little changes, it’s great for a baby shower, bridal shower or a party for an adult as well. I’m excited to announce that this Picnic Birthday Party was featured in Calgary’s Child Magazine. You can read all of the fun party details in the magazine. Here I’ll share all the photos with you along with a little summary. 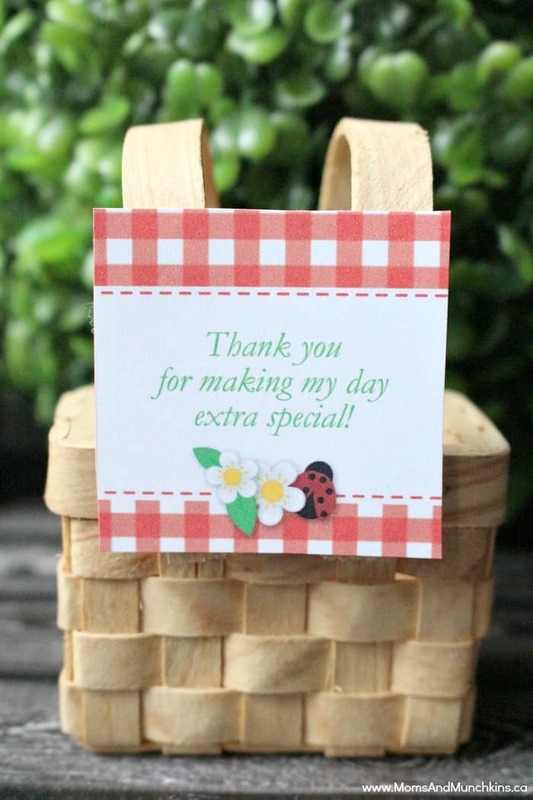 A big thank you goes out to A Little Pixel for designing the printable party supplies for us. 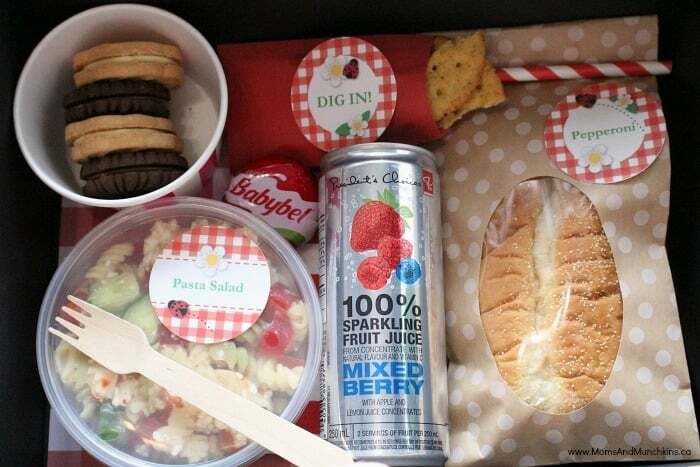 There’s nothing quite as peaceful as a picnic in the park. With birds tweeting, the sun shining and the sounds of children laughing, it sounds like the perfect way to spend an afternoon. 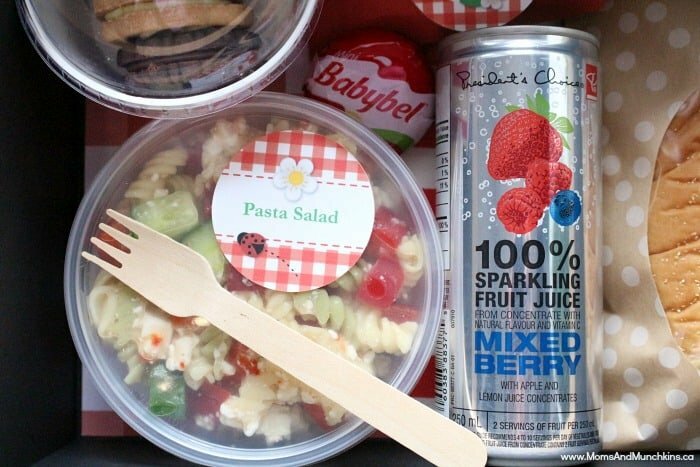 When planning food for your picnic party, you’ll want to make sure you pack items that would be okay to eat after sitting out in the sun. If you need to keep items cool, be sure to mark a cooler and ice packs down on your packing list. For those guests with food allergies, it’s a good idea to plan their meals in advance and mark their items with their names. After your picnic in the park, a delicious idea would be to take everyone out for ice cream. I can’t think of a more perfect ending to a picnic party! For additional ideas for food, picnic activities and more, be sure to read the full feature in Calgary’s Child Magazine (linked at the beginning of this article). For even more fun party ideas, visit our Birthday Party page. 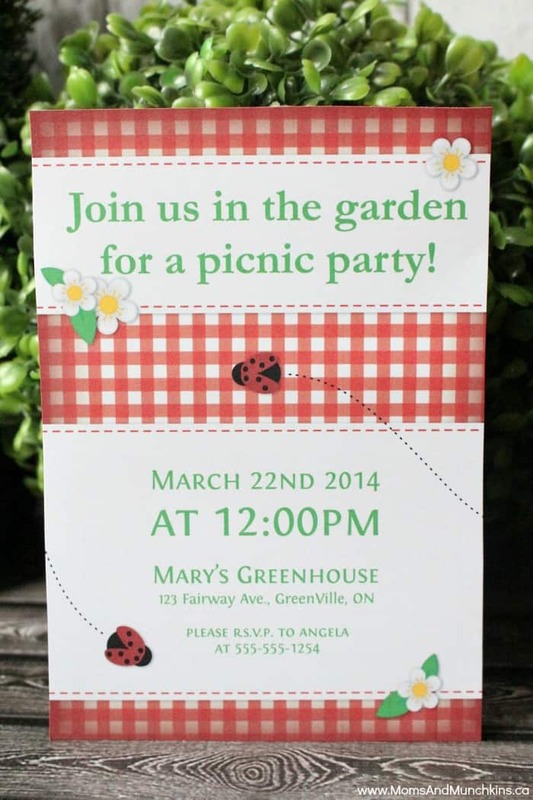 We have loads of ideas for party themes, general party planning tips, free printables and more. We’re always adding new ideas for parties and family fun. Stay updated on the latest ideas by following us on Facebook, Twitter, Pinterest, with sneak peeks on Instagram. Love the red and white! This party is just too cute! Might have to duplicate this summer. Pinning! 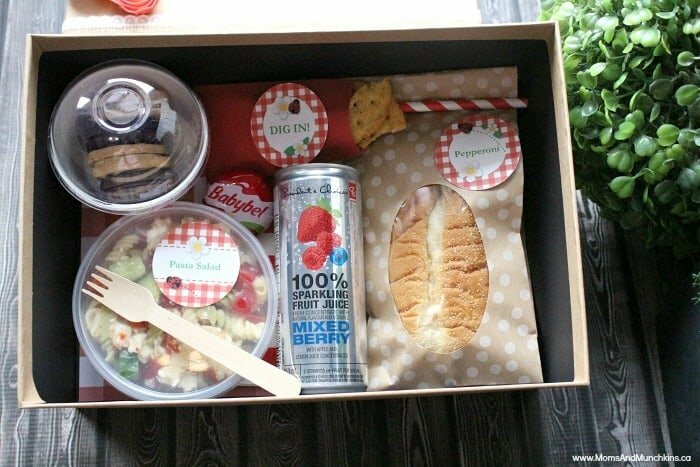 what a lovely idea, i love picnics. not warm enough here yet.